Well I finally decided to jump ship and leave Live Journal. So many things about the site were not workable for what I wanted to do, let alone the pages to post, edit, spell check took forever to load (along with the looooong wait for the commercials to end). I’ve been spending the last few days moving my reviews over to this site, as well as some from Amazon I’ve had since before blogging. I really like the category feature and you can look for a specific period/locale and click to see books I’ve reviewed – and yes I did include a wall banger category – some things never change. As for FTC disclosure – many of these reviews were written well before the disclosure rules went into effect and I had no desire to add extra copy and paste tasks to what I was already doing. I’ve added a book source category for the FTC man or he can come and ask me himself. Personally I think they should be putting some effort into Harriet and her many blogs. Last I checked she’s not doing anything about it. Erienne Fleming’s father, the hard drinking and gambling mayor of their northern England town needs to sell her in marriage to the highest bidder to pay off his gambling debts. Handsome Yankee Christopher Seton wants Erienne, but since Christian is the one he owes the greatest debt to, Christian is banned from bidding for her hand. Instead, Erienne’s hand is purchased by the mysterious Lord of Saxton who was horribly injured and scarred for life in a fire. Erienne is as first horrified by her new husband’s appearance and fights her growing attraction to Christopher at the same time and thus begins KEW’s take on the Beauty and the Beast. Unfortunately, as much fun as KEW’s romances can be to read, this book has some major flaws. The big twist in the plot is pretty easy to figure out — as other reviewers have noted. In fact, almost everything in the book is pretty easy to figure out. The bad guys were inept and almost cartoonish in their bad deeds. Erienne is supposed to be intelligent and well educated, but her initial reactions to her disfigured husband just don’t ring true, Stuart was nothing but kindness itself and a very gentle and loving husband. 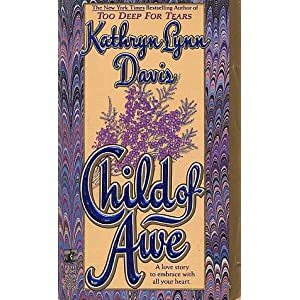 She was always running off and getting herself into a pickle so that Christopher could rescue her, and I have to agree with the other reviewers in that it got to be just a tad bit over the top that every man in the book was dying to jump her bones. 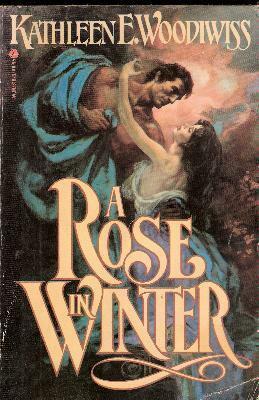 All in all, not the worst in the historical romance genre, but far from the best either and certainly not one of KEW’s better efforts (which would be Ashes in the Wind), but well suited for a rainy Sunday afternoon easy on the brain type of fluff. I’m sorely torn between a two and three star rating, so I’m calling it at 2.5 stars.